Moonset of the latest supermoon coincided with dawn last weekend. I was photographing the prairie landscape and climbed up to a spot where I had a bit of elevation in order to look over the fields and be somewhat on level with the Rockies. The mist laying low over the fields was a lucky bit of happenstance. This entry was posted on August 12, 2014 by Christopher Martin. 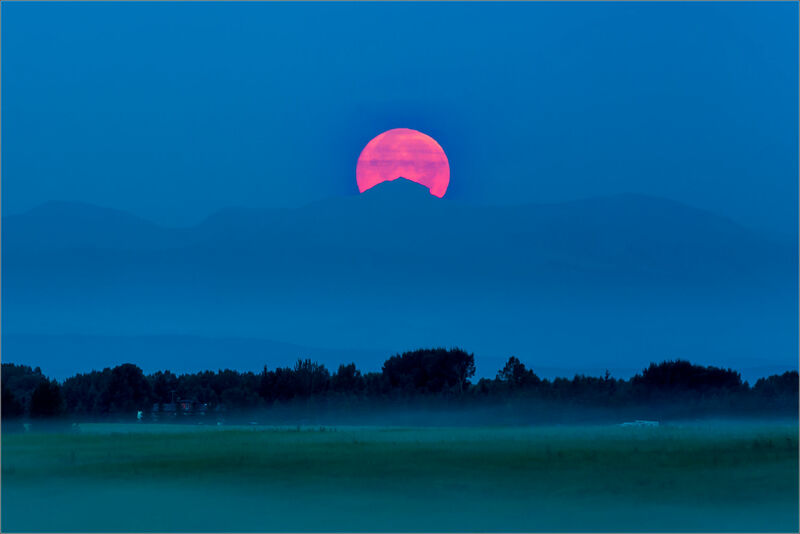 It was filed under Landscapes, Prairie and was tagged with alberta, Canada, full moon, landscape photography, moonset, morning, natural phenomenon, Prairies, Rocky Mountains, supermoon. wow! your photos inspire me! great pic! I knew you would have a good shot but this is even more than I expected.is the red from the smoke in the air? Thanks for bringing us such beauty….